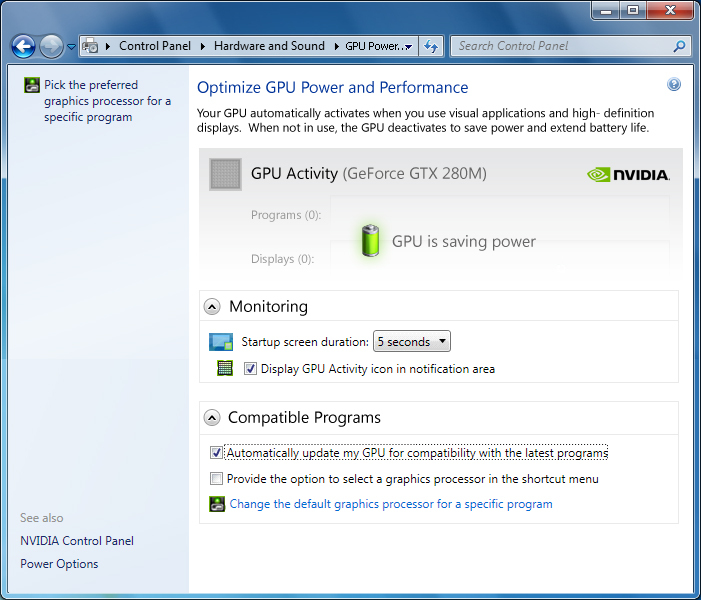 NVIDIA Optimus technology maximizes the battery life on a notebook by automatically switching off the GPU (graphics processing unit) off when it is not needed and switching it on when needed again. The technology requires no user interaction, so all of these changes happen seamlessly without interrupting normal activities. 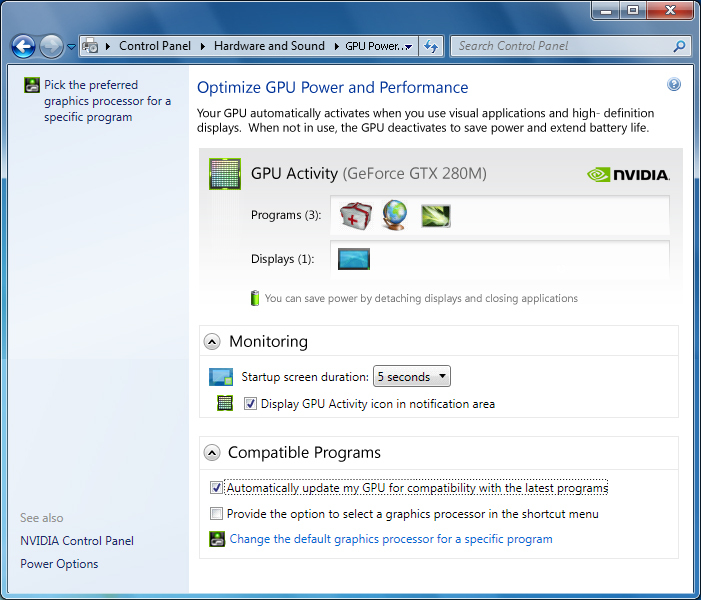 Indicators and a settings panel are available for those who want an indication when the GPU is being turned on or off. 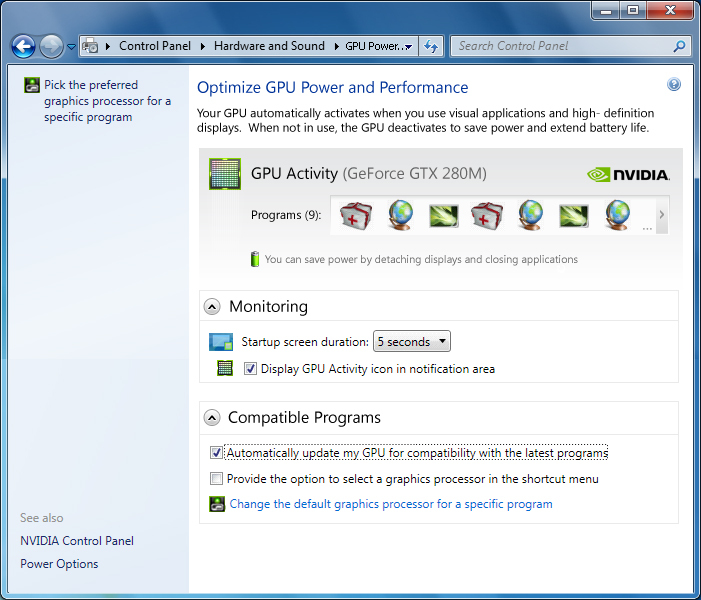 In addition to creating the technology icon used in the NVIDIA Optimus logo, I worked on control panel designs and the windows task bar flyout/notification icon experience.